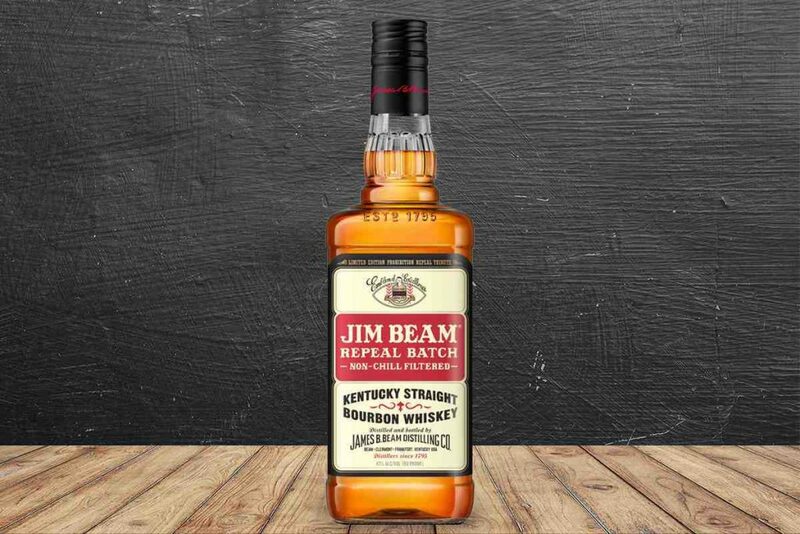 Just last month, Jim Beam introduced a new limited-release whiskey called Jim Beam Repeal Batch. It’s an 86-proof, non-chill filtered bourbon that was inspired by the same liquid produced by the Beam family following Prohibition’s repeal in 1933. This new bottle celebrates 85 years since that time, and it’s available now, should you want to sample a taste of the past. Jim Beam Repeal Batch is aged four years, similar to Jim Beam’s white label bourbon. But unlike the flagship bottle, Repeal Batch is non-chill filtered, which means that more of those fatty acids should remain in the whiskey, resulting in a fuller mouthfeel and more pronounced flavors. The whiskey pours a light amber in the glass, and sports aromas of oak, vanilla, cinnamon, cloves, and popcorn. Those aromas mostly carry over to the palate, which also features flavors of pepper, nuts, and cooling mint. The oak remains from start to finish, noticeable but never too prominent, and it all finishes in a neat package of corn, oak, and spice. Jim Beam Repeal Batch is a solid, everyday kind of bourbon. Skipping the chill filtration does seem to add a little extra to the flavor profile, although so does bottling at a higher ABV—Repeal Batch is 86-proof, whereas your regular Jim Beam is 80. Perhaps the best thing about this new bourbon is the price, which comes in under $18. Repeal Batch is expected to last through the holidays, but not much beyond that, so if you want to try it for yourself, now’s the time.